Happy Friday folks! I'm currently out of office and crusin' somewhere in the Caribbeans taking photos and enjoying some quality time with the family. But that wouldn't stop me from scheduling the weekly HDR Friday 3000 miles away! If you have been following me (either flickr, or on this blog), you'll notice I always have plenty of photos from Seattle. 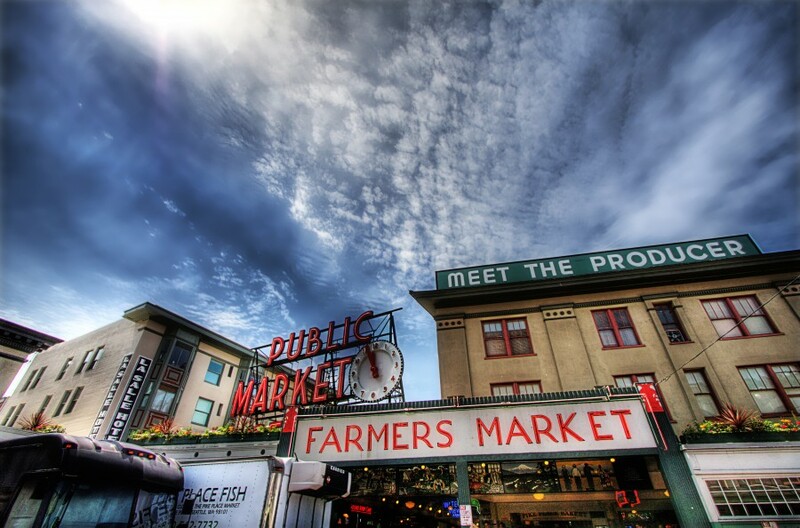 The reason is basically due to the fact that it has became a tradition to visit the Pacific Northwest at least once a year for past 4 years, and every single time I end up here at the Pike Place Market, regardless if it's planned or unplanned. It's like some sort of magnetic field that gravitates me towards it..